Stocks fell on Monday as renewed concerns about Ireland's resolve to address its debt load dragged the euro lower and gave the dollar a reprieve from weeks of drubbing, but gold surged on inflation worry. Newspaper reports raising fresh doubts about Ireland's ability to fund itself internationally have weighed on the euro and caused spreads between Irish and German government bond yields to widen. This eased pressure on the dollar, which had endured weeks of selling amid expectations that the Federal Reserve would embark on a huge monetary stimulus in the form of U.S. debt purchases. The Fed last week affirmed the speculation, with the announcement of another $600 billion (371.7 billion pounds) in quantitative easing. But a stronger-than-expected U.S. labour market report on Friday eased concern of extensive Fed easing. "We're finally seeing the market turn its gaze away from Fed easing and towards these ongoing problems in peripheral Europe," said Matthew Strauss, senior strategist at RBC Capital Markets in Toronto. "Even before the Fed meeting, spreads for Ireland, Greece, Portugal were widening, and now that the Fed has indicated what it will do, the market is starting to trade on these worries." While Ireland does not face any immediate liquidity demands -- it is fully funded until the middle of next year -- there are real concerns that if Prime Minister Brian Cowen fails to get his 2011 budget passed in December, the country will be unable to return to the bond markets, as planned, in January. On Wall Street, stocks maintained an inverse relationship with the dollar, which had slumped to a 9-1/2 month low against the euro on concern the Fed stimulus would fuel inflation. Spot gold surged to a record high $1,402 an ounce as investors bought the precious metal as an inflation hedge. So $1,374 isn't the top after all. Investors remain happy to sell dull, listless little paper tokens to buy shiny and awesome little bits of metal. Only time will tell if this was a good idea or not. Opinions remain divided at this point. Or a massive crash in this paper stuff with this shiny stuff retaining its long term, historical rate of exchange for things. I truly don't know whether we are in the process of a crash in paper stuff or a bubble in shiny stuff but I am pretty certain that we will see one of the two happen in the next three years. +1 - but I think we will see the collapse in one or other in the next 6 to 12 months. You could well be right. I have learned through observation that I am less patient than most so I have been conservative in estimating the time frame. I just have a gut feeling - have learnt to rely on my instincts - that we are within 6 months of a global financial crisis that will make 08 look nothing. That does not mean that I don't think the likes of gold, commodities, etc, and the stock markets will not continue to soar until it happens. I believe they all will. But I think that when the collapse comes it will come out of the blue and will shock people by how fast it spreads and how TPTB are unable to control it. I think the boom in commodities, which is also dragging up shares, will be looked back on by historians as a complete ans utter madness that should have been obvious to us all much in the same way that the soaring shares in 28/29 should have been seen by all as a storm coming. Now, whether you or I or anyone has the balls to jump in now and hope to get out before it all melts down is the 64 trillion dollar question. Have a look at gold's sister, silver. Was there MUCH less silver out of the ground in those days? The VIs would say there's less above ground now. Stocks are at all time lows, probably less than 1BN ounces. Rarer than gold? Gold is the biggest Mug Punt there is at the moment. I like silver, it has some great medical applications, it is also much rarer than people realise. That said, Gold has got much further to go. There are 10 times more people now who can afford to buy large quantities of gold, and the money supply has grown by an even greater factor in the last 20 years. 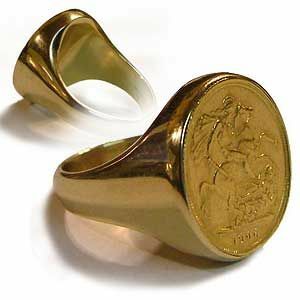 I have said this before, but my aim is to own 1 Oz of Gold for every $10k dollars outstanding on my mortgage. I reckon I'll be able to pay the mortgage off in 5 years as gold hits $10,000 per Ounce. And so it becomes yet another boring gold thread. Gold is only worth the amount it is because everybody agrees it is. Same as happened with tulip bulbs in Holland a few hundred years ago. It is destined to go the same way, it is an industrial metal with no value other than that. Still praying for a gold correction - hopefully hundres of dollars lower. Ultimately gold is going to $5000 an ounce plus. Silver is going to $100 and ounce plus. It is destined to go the same way, it is an industrial metal with no value other than that. Lol. Keep on believing whatever you want to believe. I can't help thinking that gold is high right now because it is expected to be high right now and the investors (not the minority of TFHers looking for a safe haven) will be looking around for the next big thing that is ripe to balloon, they'll jump ship and change to quickly get out at the top of gold and in at the bottom of X, leaving the TFHers clutching their little pots of shiny awesomeness. Only if there is no next big thing would this scenario be unlikely, gold really only seems a hedge against total destruction of the value of all other assets, which i guess is why most investors only keep 10% in gold. And if i knew what that next big thing was i wouldn't be worried about the price of houses so i'm not surprised that i can't say what it might be to prove there will be one.